The Hawaiian Airlines World Elite MasterCard wast just relaunched by Barclays at the beginning of March. The current sign-up bonus is 35,000 miles after spending $1,000 in the first 90 days. I really don’t plan to travel to Hawaii anytime soon, but I’ve been tempted to add the card to a new round of credit card applications for March just to top off my Hilton points balance. Either way it’s good to see the card offer live again and the offer may be worth it for many who travel frequently or are planning a trip to Hawaii. Hawaiian Airlines World MasterCard holders get access to additional discounted flight awards on Hawaiian Airlines. With the card you’ll get a 5,000 discount on round trip awards. This means the 35,000 mile bonus can get you a round trip flight to Hawaii for $5 when you book a Coach SuperSaver award. Award availability is generally good on Hawaiian Airlines and booking a couple months out usually means you can find SuperSaver award space. For shoulder season trips during the fall, the award space is wide open for the whole month of September and October. Flights to Hawaii can easily cost between $400 to $800 depending on what part of the states your departure city is, so getting $500+ of value out of the bonus can be easily done. 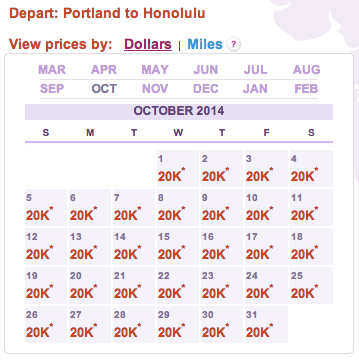 You can transfer Hawaiian Airline miles to Hilton HHonors points at a 1:1.5 ratio. This makes the 35,000 mile bonus worth 52,500 Hilton points. You could get one night at most properties or if you want to maximize your number of free nights you could get 10 free nights at a category 1 hotel (5,000 per night). To make a transfer you have to call Hawaiian Airlines at (877) 426-4537 and can only transfer in 5,000 mile increments. To get an almost complete trip to Hawaii covered with the bonus, one idea would be to use the cards’ companion fare benefit on a cheap economy flight and transfer the 35k miles to Hilton hotel points. If you find a low-priced Hawaiian Airlines flight this could mean a cheap vacation to Hawaii that includes at least 2 free hotel nights. 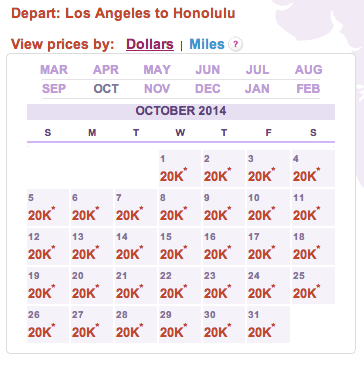 Is The Hawaii Airlines Credit Card Right For You? If you’re looking for a card bonus that gives you flights to Hawaii, then this is a good option worth a round trip economy flight from the Continental US to Hawaii. It’s an easy way to get a flight to Hawaii for only $5 round trip. On the other hand it’s also a great option to top earn a night or two at a Hilton Property or to top off your account with Hilton points. 52,500 Hilton points won’t go an extremely long way, but pair this with the Citi Hilton Reserve card and you can book 3-4 consecutive award nights at a top tier Hilton property. I am hoping to book our first trip to Hawaii for March 2015. We will stay in big island most of the time with friends. I’m wondering if you know approx. how many points it would take to fly from Boston to Hawaii island? Should I open one card & use the discounted companion airfare for my husband, or open up a card for each of us and use the extra points to island hop & stay at a hotel for a few nights on Oahu? Brooke, as a cardholder you get access to additional discounted flight awards on Hawaiian Airlines, and you’ll get a 5,000 discount on round trip awards. So if you book a Coach SuperSaver award it will only cost 35,000, meaning, you can get a round trip flight to Hawaii from the sign-up bonus.